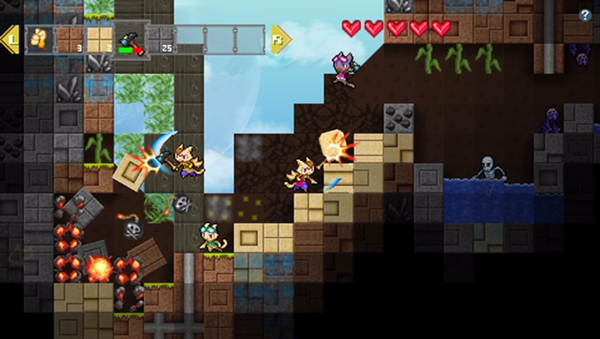 Airship Q--A Terraria clone made by a Japanese indie developer and filled with feline characters? Put me down for at least one copy, and maybe two. Seriously, though, what's not to like about such a scenario? OK, so the language barrier could prove to be a problem if I go with the physical Japanese release (which is the current plan). I'm willing to risk it, though, for the fabulous box art and actual, I-can-sell-it-down-the-road-if-I-want-to-do-so cartridge. 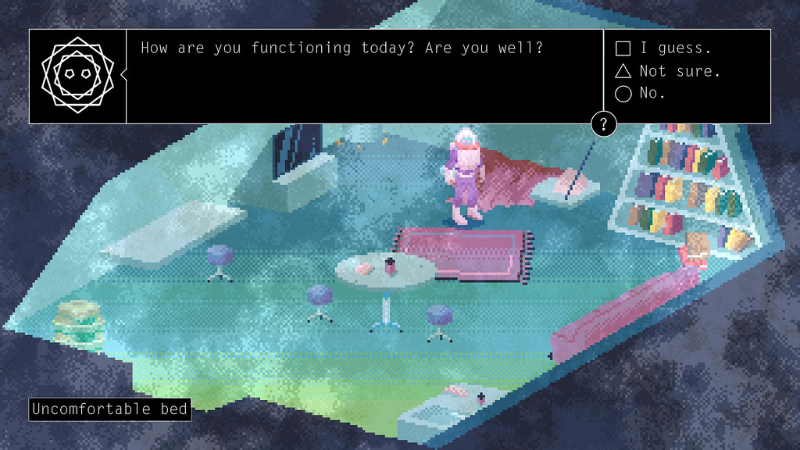 Alone With You--This upcoming digital offering captured my attention for two reasons when its release was announced a few months back. 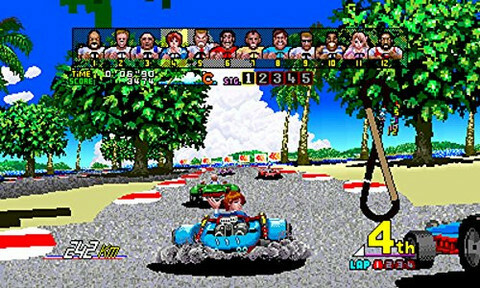 One is that it brings to mind some of the great PC games I enjoyed whenI was younger. Another is that it includes a romance element--which I pretty much always consider to be a welcome addition to any title that's caught my eye. Crypt of the NecroDancer--I've wanted to play this wonderfully weird digital title, which dares to combine elements of the rhythm and rogulike genres, since the PC version was unveiled a couple of years ago. Because I hate playing games on my Mac (or any computer, for that matter), though, I dragged my feet on buying it. Which is great, as developer Brace Yourself Games revealed this past fall that a Vita version is in the works. Here's hoping it comes out sooner rather than later, as I really want to see if this is the video game equivalent of a Reese's peanut butter cup--an example of a wonderful combo, in my opinion--or if it's more like a Necco Wafer wrapped in a Tootsie Roll. Ikenie to Yuki no Setsuna--The timing of this Square Enix-made game's release (next month--in Japan, at least) is just about perfect, if you ask me. 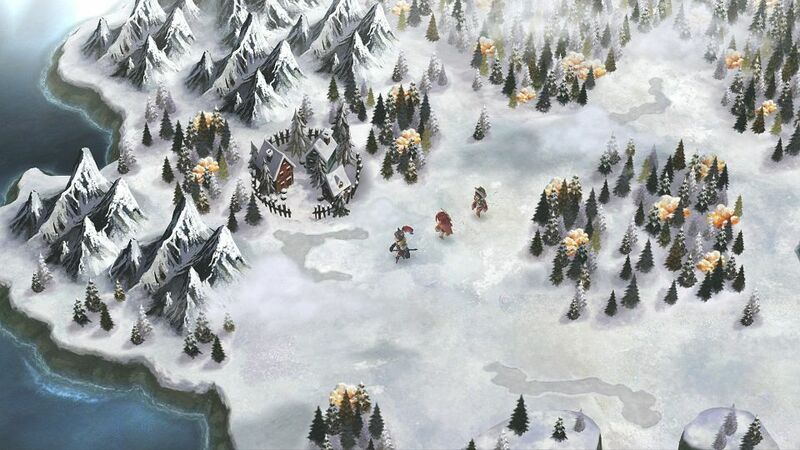 I'm currently working my way through the DS version of the title (Chrono Trigger) that inspired it, and I should wrap up its adventure just before my boxed copy of Ikenie to Yuki no Setsuna makes its way across the pond to my welcome mat. Will it live up to its pedigree? I have no idea, but I certainly hope that'll be the case--and then some. SaGa Scarlet Grace--I've made no secret over the years of the fact that I'm a huge fan of Square's SaGa series. The second GameBoy title is one of my favorite games for that handheld, while SaGa Frontier is among my all-time favorite games for any system. As a result, I'm chomping at the bit to get my hands on this latest entry in the series. 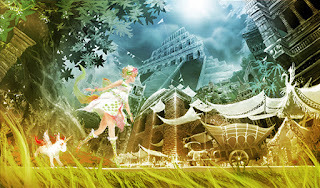 Fingers crossed Scarlet Grace stays far away from the hideous art style of the PS2 Romancing SaGa remake or the hair-pullingly obtuse gameplay of Unlimited SaGa for the same console. 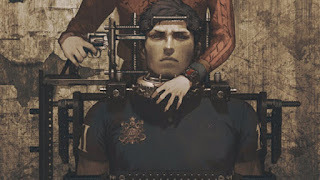 Zero Time Dilemma--Why am I buying the Vita version of this third entry in the thrilling Zero Escape series instesd of the 3DS iteration? Because I'm going to start playing the second game, Virtue's Last Reward, on Sony's handheld shortly, and I figure I'll want to follow it up by playing its sequel on the same mschine. Also, I have so many 3DS titles at this point that I figure I should show my Vita a bit more love. Are there any in-the-works Vita games that are causing you to salivate in anticipation of their impending (in 2016) release? If so, let me know about them in the comments section that follows. Just before 2015 turned into 2016, I published a post with a headline very similar to the one you see above. Hatoful Boyfriend (Vita)--OK, so I don't feel too bad about "ignoring" this intriguing visual novel. For starters, I only bought it a few weeks ago. Also, I couldn't have played it even if I'd wanted to, as my Vita didn't have enough space to accommodate it. 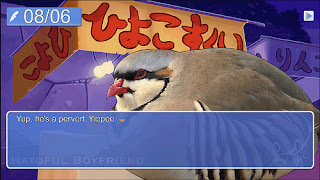 Now that I own not one, but two 16 GB Vita memory cards, though, I should be more than set to start wooing some avian hotties (or something along those lines). 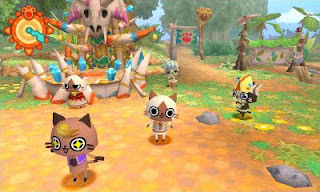 MonHun Nikki: Poka Poka Airu Mura DX (3DS)--Out of all the titles singled out in these two posts, this one pains me the most. That's because I've wanted to play some version of this adorable Monster Hunter spin-off since the first PSP game hit Japanese store shelves in 2010. Now I own both that release and this 3DS port (of sorts) and I've yet to boot up either of them. Mark my words, I'll put some time into MonHun Nikki: Poka Poka Airu Mura DX before 2016 comes to a close. 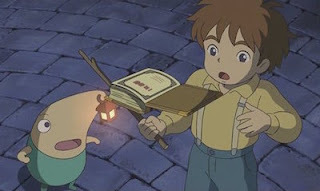 Ni No Kuni (DS)--I know this portable take on Level-5's Studio Ghibli-backed, Dragon Quest-esque RPG supposedly pales in comparison to its PS3 counterpart, but I'm still itching to play it. Will I get hopelessly lost at some point because I can't properly traverse its inch-thick (at least) "Magic Master" book? (See a few photos of it and the rest of Ni No Kuni's beautiful packaging, in this post.) Quite possibly. Still, I'm willing to give it a go. Fingers crossed the game's more forgiving that some Japanese RPGs due to the fact that it was aimed at children. 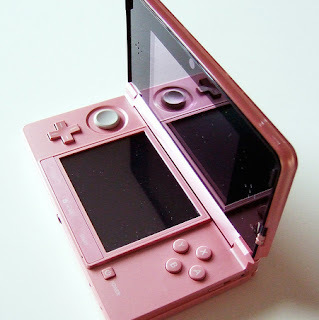 Sega 3D Fukkoku Archives (3DS)--You know how I said earlier that at least a couple of the titles discussed in this pair of posts have yet to be opened? Well, this is one of them. And, yes, I'm ashamed to admit that. I'll do my best to put that shame to good use in 2016, though--meaning it should spur me to give this first Sega 3D Fukkoku Archives effort (as well as its just-released follow-up, which includes even more 3D-enhanced Sega classics) the attention it so clearly deserves sometime in the next 12 months. 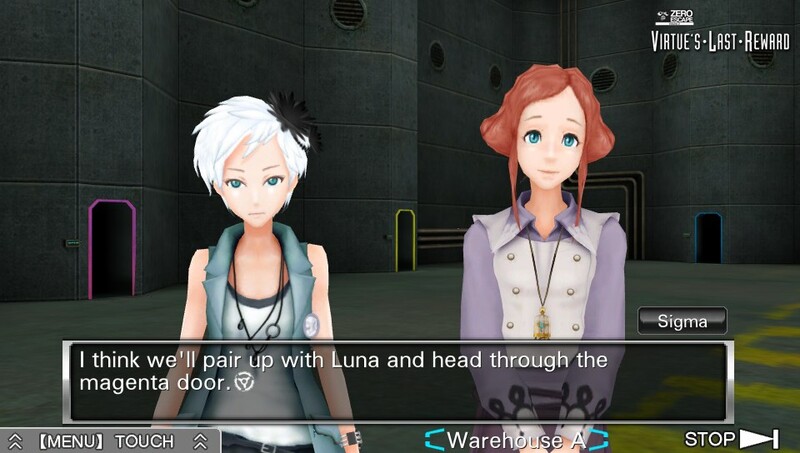 Virtue's Last Reward (Vita)--Here's another Vita game I've only owned for a short while. In fact, my copy only arrived on my doorstep a day or so before I headed to Wisconsin for the holidays. So, I have a bit of an excuse for neglecting it. I wouldn't expect it to be neglected for much longer, though, as I absolutely loved the nearly 22 hours I spent with its DS-based predecessor (read some of my thoughts on 999: 9 Hours, 9 Persons, 9 Doors in this post), and I've wanted to return to its oh-so-tense world ever since I finished it. How about you? 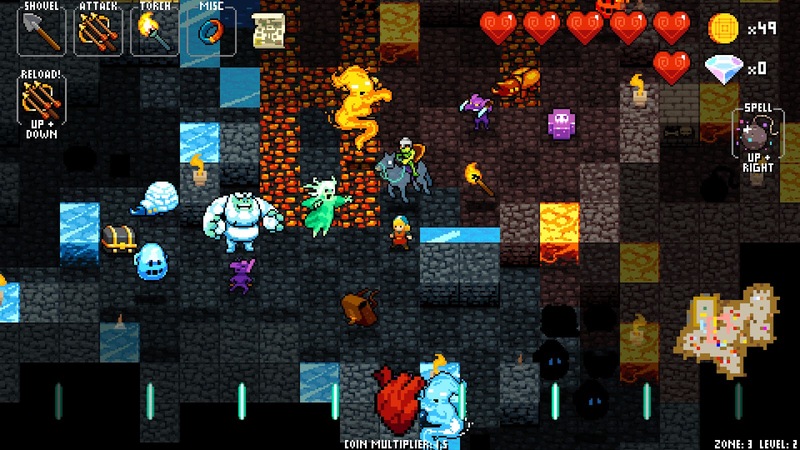 Did you buy any games in 2015 that, for one reason or another, you failed to play by the end of the year? Let me know which ones in the comments section below.